Combine the butter with all the other ingredients up to and including the salt. Use to coat the chicken, pressing one side of each piece into the shredded coconut. Place the chicken on a baking tray lined with baking paper. Cook for approx. 40 mins. in the centre of an oven preheated to 180°C. To make the dressing, mix the lime juice in a bowl with all the other ingredients up to and including the chilli pepper. Add the papaya and leave to steep for approx. 15 mins. Carefully stir in the Chinese leaves and coriander. 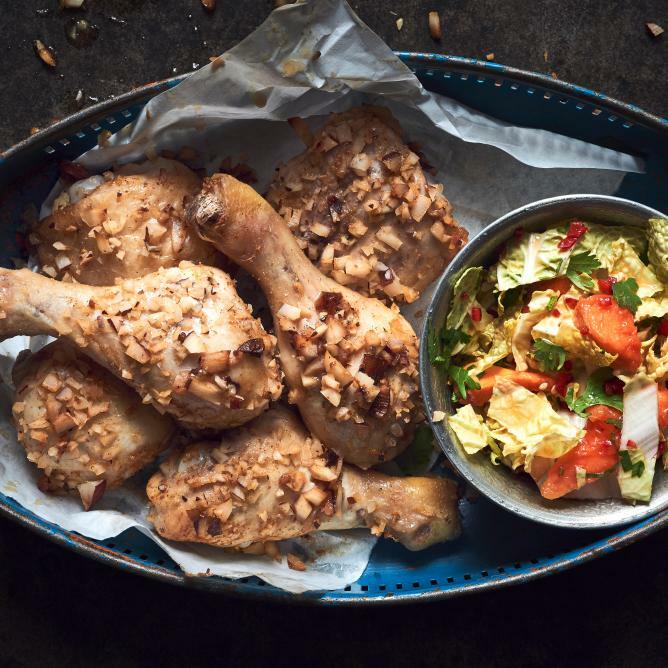 Serve the coconut-crusted chicken with the papaya salad.